This Persian salad -- from where else, but the region of Shiraz -- is a delicious and healthy dish that's quite simple and easy to make. It's sort of like a Persian pico de gallo. :-D This no-cook dish consists of only three vegetables -- tomatoes, cucumbers, and onions. They're all chopped to a uniform size and marinated for a short period of time. Typically served in the summer, this salad goes particularly well with other dishes like pita spread with hummus or babaganoush, falafel, or grilled shish kebabs like jujeh (chicken) kebabs. 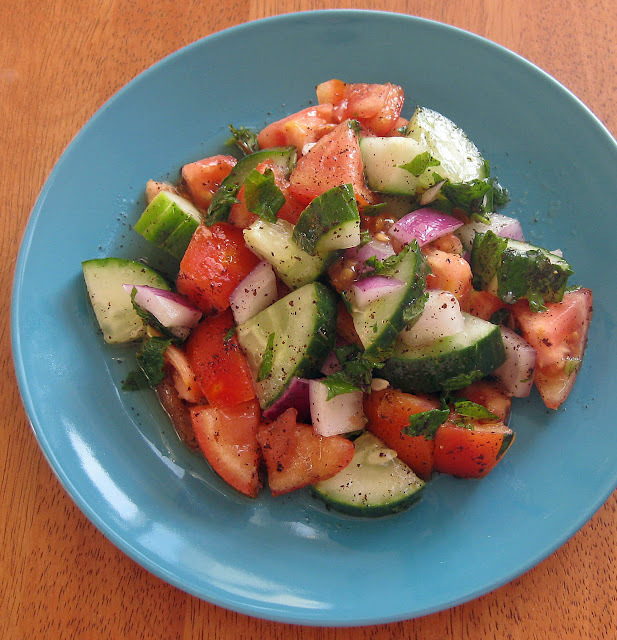 Directions: Combine onion, cucumbers, tomatoes, and mint in a large bowl and set aside. Combine the remaining ingredients in a blender and pulse until well-combined. Pour dressing on top of salad, and toss until vegetables are completely coated with dressing. Cover and refrigerate, allowing salad to marinate in the fridge for at least 30 minutes before serving. Serve cold. Chef’s Notes: Be sure to dice the onion first, followed by the cucumbers, and lastly, the tomatoes, in that particular order, to keep your cutting board as dry as possible. And, make sure to dice them to a uniform size. 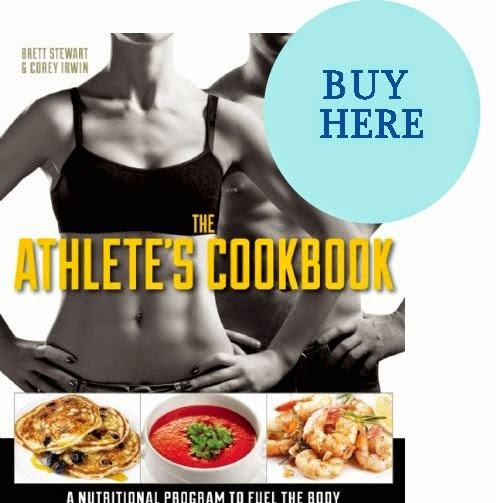 To make this dish into a meal, simply add a protein source like tofu, grilled chicken, beef, or shrimp, etc. Sumac can be purchased at most Middle Eastern or Mediterranean stores. If you don't have a local resource, you can always purchase it online. Yield: 4 servings (of 1 cup each).